L & LR and RR & R Department, Government of West Bengal. 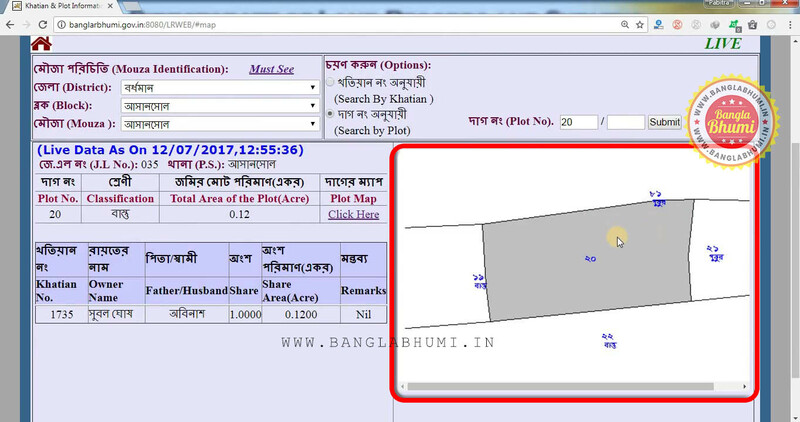 Step 1 : For download and print your land mouza map Open the official BanglarBhumi website: http://banglarbhumi.gov.in or you can use this BanglarBhumi app for know your property. After open the website click on "Know Your Property". Step 2 : After Open Know Your Property Select Your District from the list. You can see all the District list of West Bengal. Then Select your Block from the list and last Select your Mouza for Download Mouza Map. Step 3 : Now you have to Select Plot Number for View Mouza Map. #You can not see Mouza map if you select Khatian Number. So Select "Plot Number for Mouza Map". Step 4 : After submit all details you can see the Plot Information and Plot Mouza Map. If you not see the map click on Plot Map Option. Step 6 : Now time to Print Your Mouza Map, In chrome browser click on option section and click on Print option for Print your Mouza Map. Step 7: At last Just Click on Print option for print your Mouza Map. 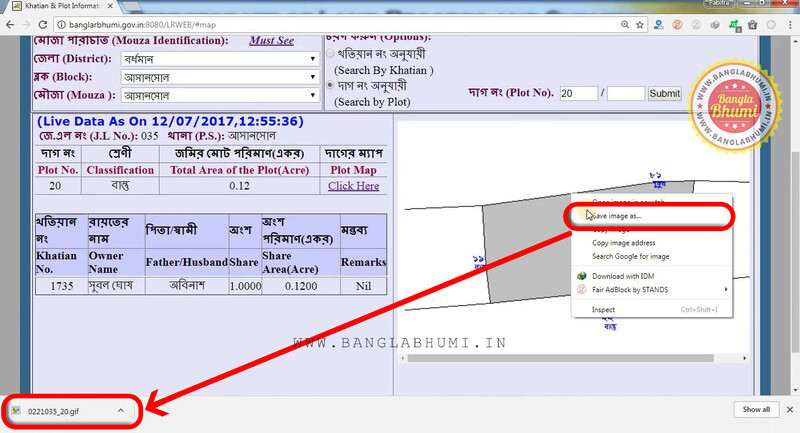 You can also Download Mouza Map in PDF file, Just Change the Printer option to Save as PDF and save your Mouza Map and Plot Information. 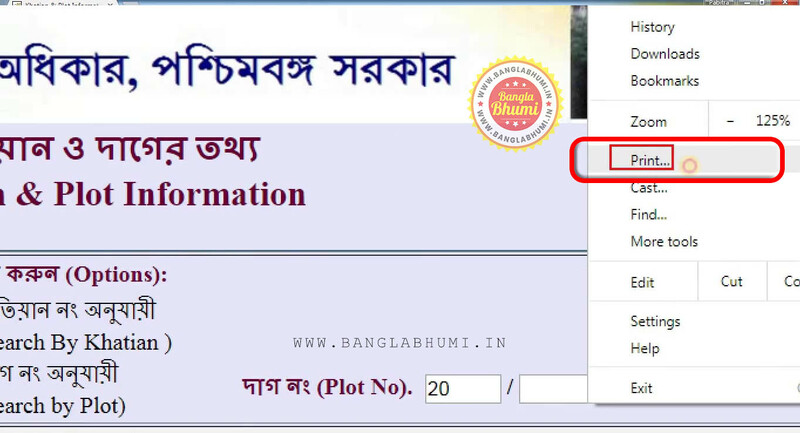 For Know Your Property and Khatian and Plot Information in your Mobile Just Download this Mobile App: BanglarBhumi Mobile App → It's very easy to Get Information of West Bengal Land Records. 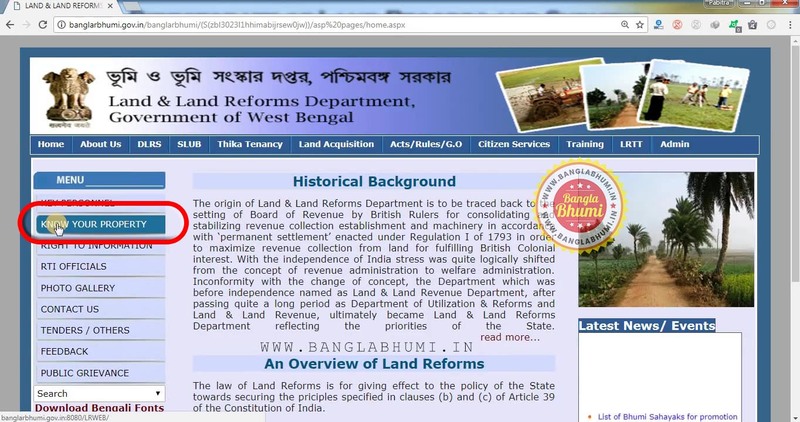 Land and Land Reforms & Refugee Relief and Rehabilitation, Government of West Bengal. 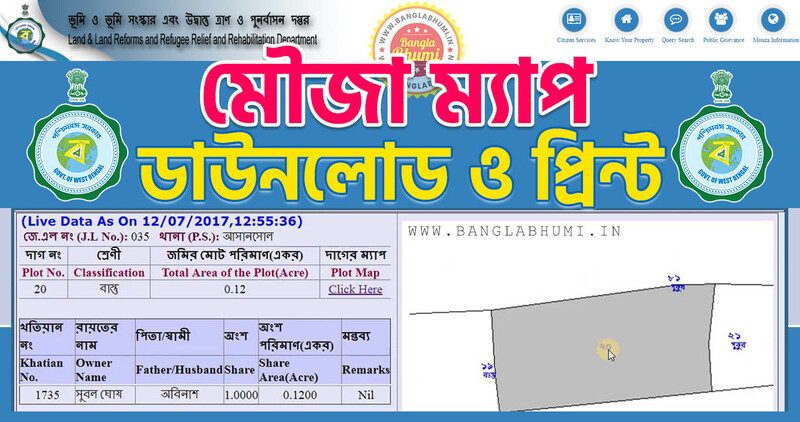 BanglarBhumi Khatian and Plot Information, BanglarBhumi RS-LR Plot Information, BanglarBHumi Mutation Case Status, BanglarBhumi Mouza map, BanglarBhumi Mutation Application, BanglarBhumi, Jomir Tothya, Khatian and Plot Information, West Bengal Government, Know Your Property.